Eric Nam is also treating Korean audiences to a free showing of 'Crazy Rich Asians', just before the film officially premieres in Korea! Eric Nam's free showing event is set to take place on October 22 at 8 PM KST at the Lotte Cinema World Tower. Anyone can apply to win tickets for the showing via Warner Bros. Korea's official Facebook. Back in August, Eric Nam garnered attention for hosting a free showing of 'Crazy Rich Asians' for his fans in his hometown of Atlanta, Georgia, U.S.A. Meanwhile, 'Crazy Rich Asians' premieres in Korean theaters on October 25. 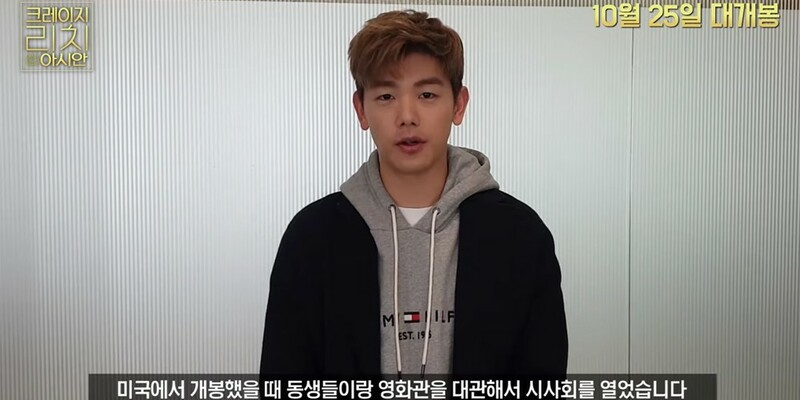 Watch Eric Nam's greeting for his special free showing event below!